Real Madrid C.F are looking to reshape their squad before they head into next season and they have various aspects to fix. For instance, they need to introduce a new No. 9 to play as an outright striker, which is a position they're struggling to fill right now. Madrid have been monitoring the current market and have their sights set on Mauro Icardi, who may be willing to join the Spanish giants in the coming summer. Mauro Icardi fits the bill and profile perfectly. Mauro Icardi has been on Real Madrid's radar for a long time, as they are in need of a poacher. Now that they do not have Cristiano Ronaldo in their side and Madrid desperately need someone special, and Icardi is one of the hottest prospects that may be open to a move. Icardi has been stripped of the captain's armband after the controversy that surrounded negotiations over a new contract and has not played a single game since. Therefore Inter Milan are likely ready to offload their star man. Icardi has scored 15 goals in all competitions this season and would be a great option for Zidane to bolster his squad. Although Zinedine Zidane has always lauded and appreciated Karim Benzema's performances on the pitch, he still wants to add a striker to his side. According to AS, Madrid representatives reportedly spoke to Inter last week and have been told that a price tag of 80 million euro has been placed on Icardi's signature. This sum may increase significantly with other sides like primarily Napoli and Juventus interested in securing the Argentine's services but it looks improbable that Nerazzurri would sell to their league rivals. Los Blancos have been monitoring Icardi's situation for a long time now and picture him as the perfect striker to replace or pair alongside Karim Benzema. The Spanish side needs a pure goalscorer and a poacher and the Argentine fits in perfectly as Benzema prefers taking up the false 9 role. Mauro Icardi may be the perfect alternative to Harry Kane who is valued at an astronomical fee of 350 million Euros, thus his transfer sounds economical. The Argentine's transfer also saves Florentino Perez from a grueling negotiation with the Tottenham CEO Daniel Levy, who is known to be a shrewd businessman. 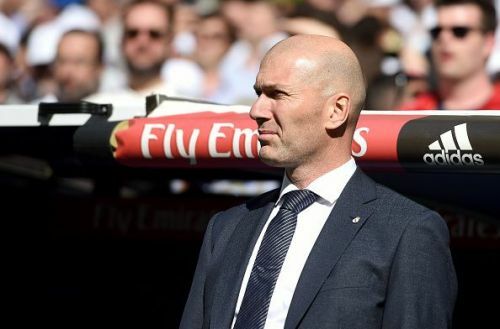 Meanwhile, Zidane has always considered Benzema to be a key player in the side and therefore it will be interesting to see if Icardi does come in, what his role will be at the Bernabeu.